It is one of the sexiest you own. It hugs every luscious curve and clings in just the right places. Don’t have one? This is your official excuse to go shopping (you’re welcome). 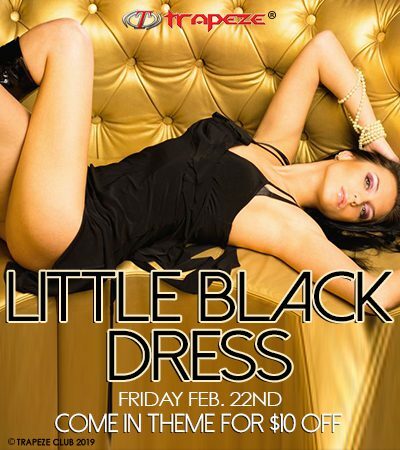 Slip into your LBD and get to Trapeze for the Little Black Dress party! The ladies will be dressed to the nines and the men will be salivating over them. You don’t want to miss it!